In nature, every newborn is given a special advantage to help it survive those first critical hours. Some newborns survive through camouflage, others through cunning… but for mammals, the advantage is a superfood know as Colostrum. This substance is found in mother’s milk only for those first few hours but, is so powerful! It supercharges the immune system, fires up metabolism, and boosts tissue regeneration and repair. It is a superfood advantage. 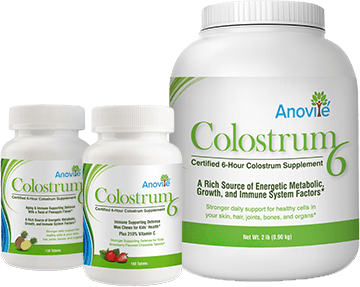 Our Colostrum6 product allows you to have the colostrum advantage every day. It’s an all-natural, animal-friendly product that can be part of any optimal health plan. Colostrum is a food produced by all mammals. 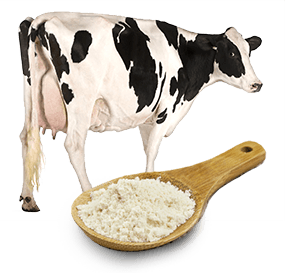 Anovite’s Colostrum6 is bovine colostrum, which is 99% bioidentical to human colostrum. It is extremely potent and the most effective colostrum on the market because it is the only colostrum certified by a third-party to be pure, and is obtained within the first 6 hours of colostrum production. Anovite’s Colostrum6 is never diluted with transitional milk, nor is the ‘good fat’ that contains all of the vital nutrients removed from it. Anovite Colostrum6 is available in powder form, capsules or flavored lozenges. Our Colostrum6 powder can be used in a variety of ways from eating it plain or mixing it into or over food. We never remove the fat from our Colostrum6 as it contains vital nutrients; as a result, adding it into water or other liquids may require more thorough mixing as it tends to slightly clump together. Maintenance: 6 capsules or 3 Grams (1 teaspoon) is a typical maintenance dose. Mild Wellness: 6-12 capsules or 3-6 grams (1-2 teaspoons). For anything above “Mild,” we always recommend the Colostrum6 powder. Moderate Wellness: 18-30 capsules or 9-15 grams (3-5 teaspoons). Helps regulate the immune system, keeping it in balance between under-and over-activity this can be extremely beneficial for those with Autoimmune diseases. 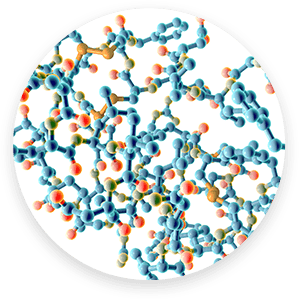 The complete family of naturally occurring growth factors that functions like the captain of a ship; triggering the events that activate cell growth and reproduction, protein synthesis, and the release of energy (glucose metabolism). IGF-1. Large fat cells release very little leptin, while small fat cells release more helping to keep you thin! IGF-1: triggers the release of energy (glucose metabolism) and helps with building muscle, burning fat as an energy source and helping to balance body’s chemistry! Being overweight increases your risk to conditions such as heart disease, stroke, and type 2 diabetes. 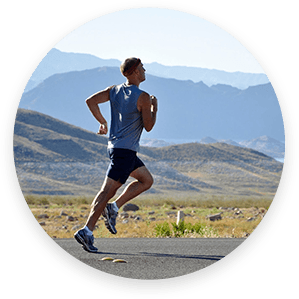 Colostrum6 offers several weight loss benefits such as fat and weight loss while providing essential leptin to the body. Colostrum6 increases energy and helps you maintain lean muscle mass while improving self-esteem and confidence. FITNESS is more than just being in shape… Fitness is about how you feel AND how you look, rather than just about exercise! How you feel may be more important than the way you look… if you look like you have the perfect body but suffer from a chronic disease, are you fit? Physical activity can help reduce potential issues and make you feel, and even look great! Insulin-like growth factors (IGF) I and II belong to a whole family of hormones contained in colostrum called the IGF super family. By taking the “Whole-Food” IGF-1 Super Family, found within our colostrum, these natural “Youthful” components can help fulfill your aim of looking and feeling young! Growth Hormone increases metabolism, reduces fat and increases muscle mass. Epithelial growth factor stimulates normal skin growth. Fibroblast growth factor stimulates the growth of new blood vessels and contributes to tissue development. Transforming growth factors, A and B are helpful in the synthesis and repair of RNA and DNA.